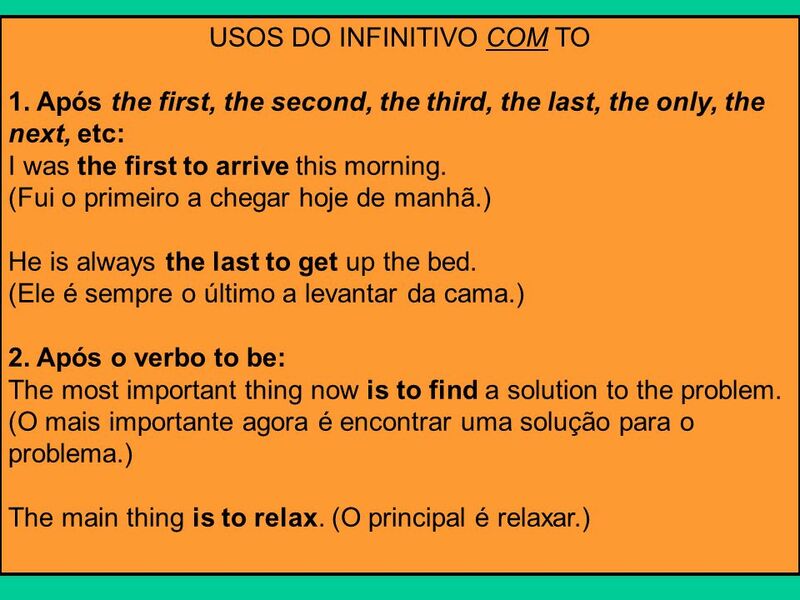 2 Quando usamos dois verbos juntos na língua inglesa, nem sempre o segundo aparece no infinitivo. 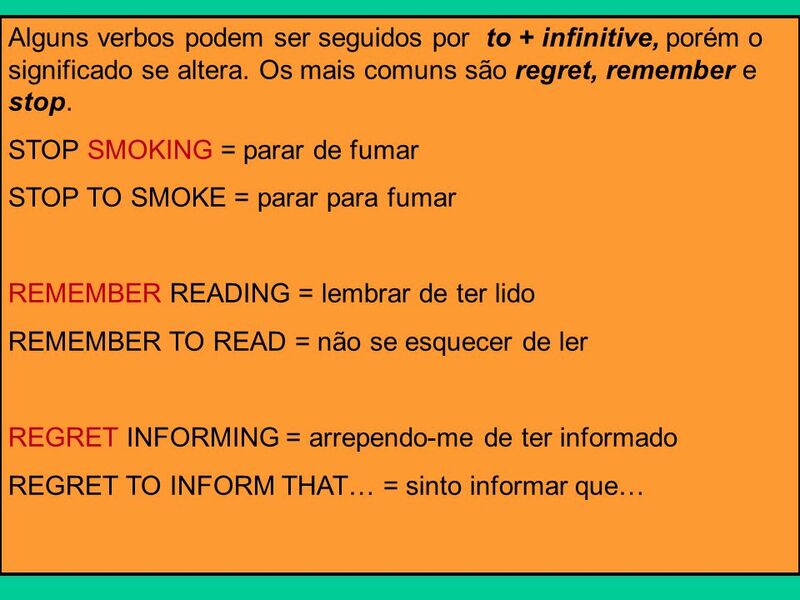 Quem determina a forma que será adotada pelo segundo verbo é o primeiro e, infelizmente, não há nenhuma regra para nos ajudar. 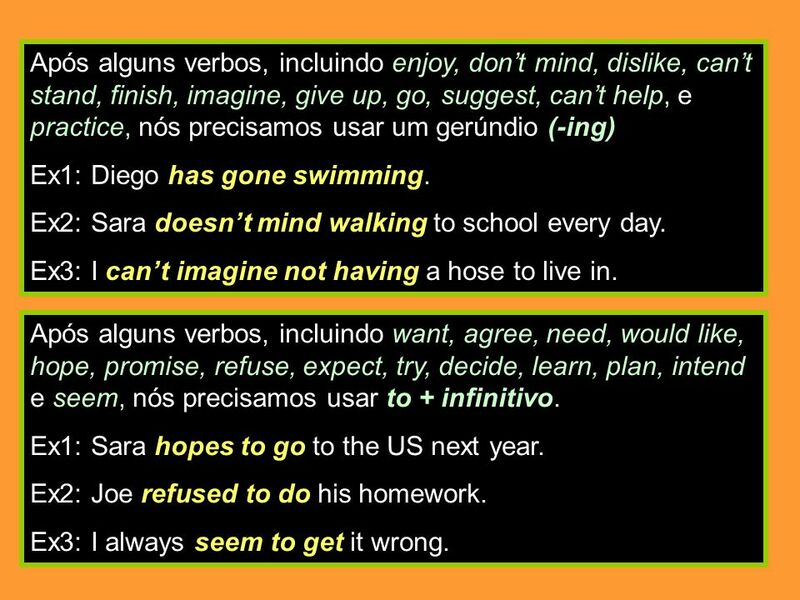 3 Após alguns verbos, incluindo enjoy, don’t mind, dislike, can’t stand, finish, imagine, give up, go, suggest, can’t help, e practice, nós precisamos usar um gerúndio (-ing) Ex1: Diego has gone swimming. Ex2: Sara doesn’t mind walking to school every day. Ex3: I can’t imagine not having a hose to live in. 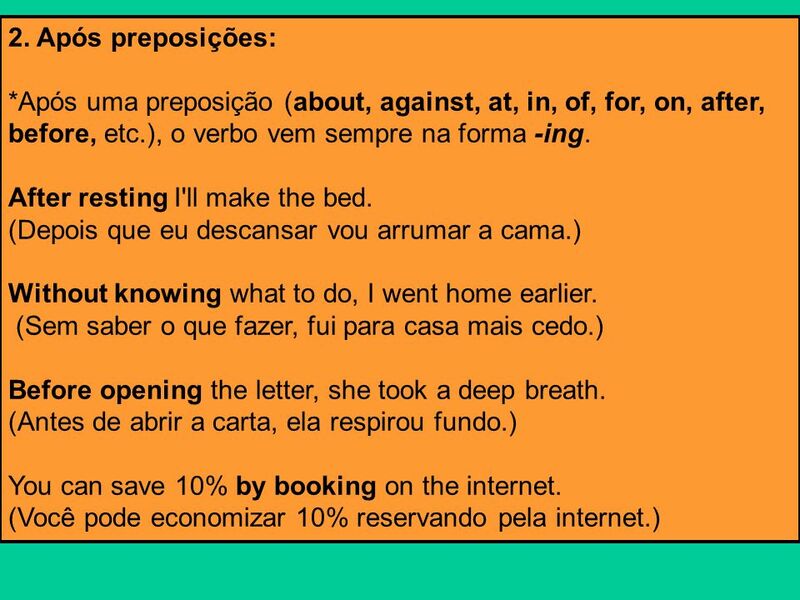 Após alguns verbos, incluindo want, agree, need, would like, hope, promise, refuse, expect, try, decide, learn, plan, intend e seem, nós precisamos usar to + infinitivo. Ex1: Sara hopes to go to the US next year. 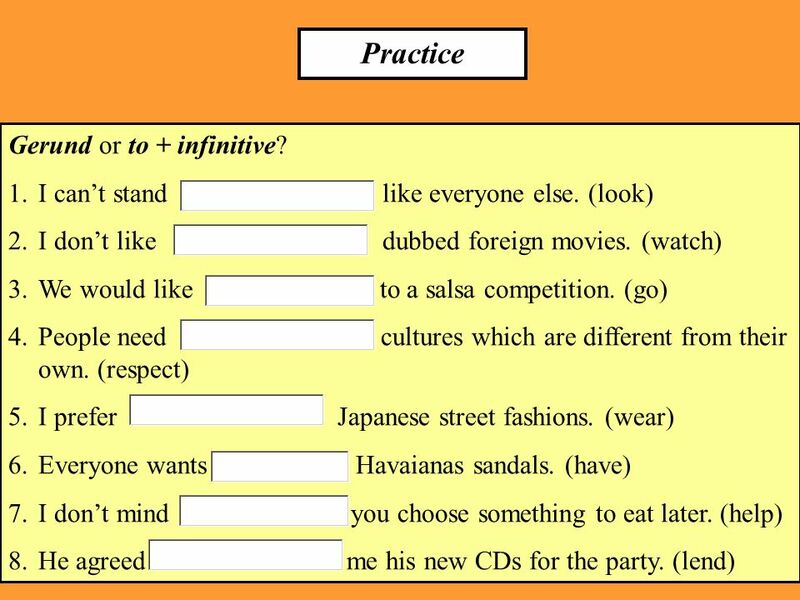 Ex2: Joe refused to do his homework. 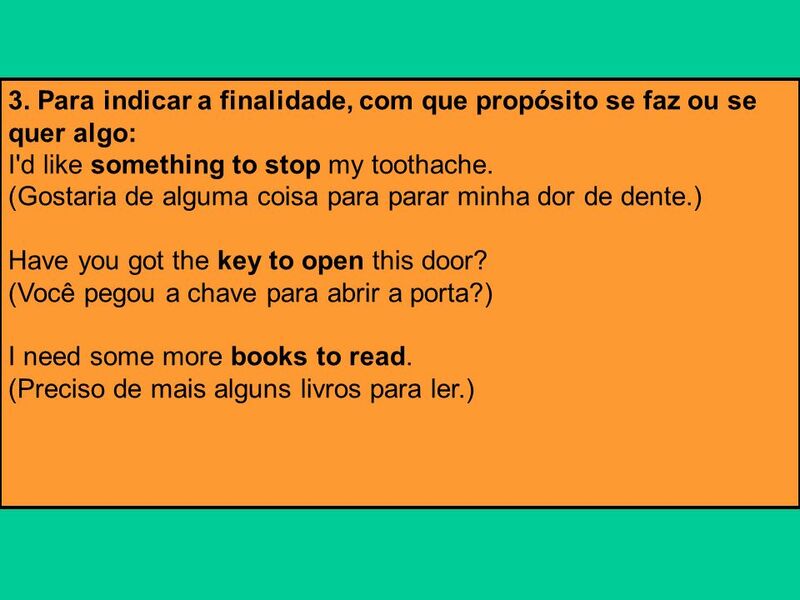 Ex3: I always seem to get it wrong. 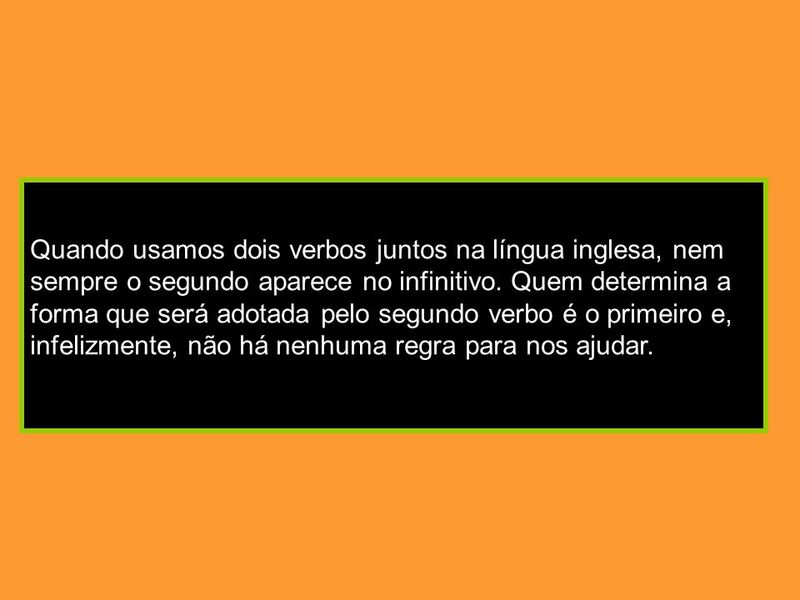 4 Após os verbos like, love, hate, begin, start, continue e prefer, podemos usar um gerund OU to + infinitive. Ex1: I like listening to music. = I like to listening to music. Ex2: He loves walking in the mountains. 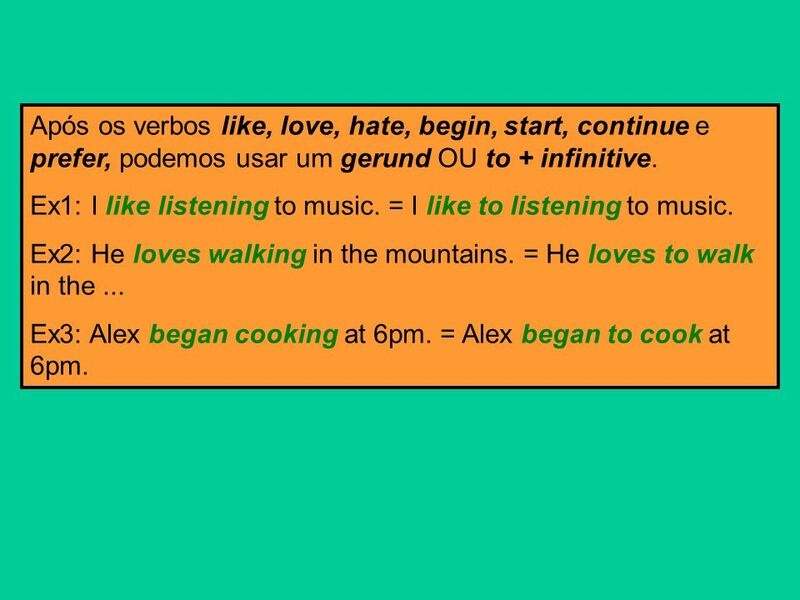 = He loves to walk in the ... Ex3: Alex began cooking at 6pm. = Alex began to cook at 6pm. 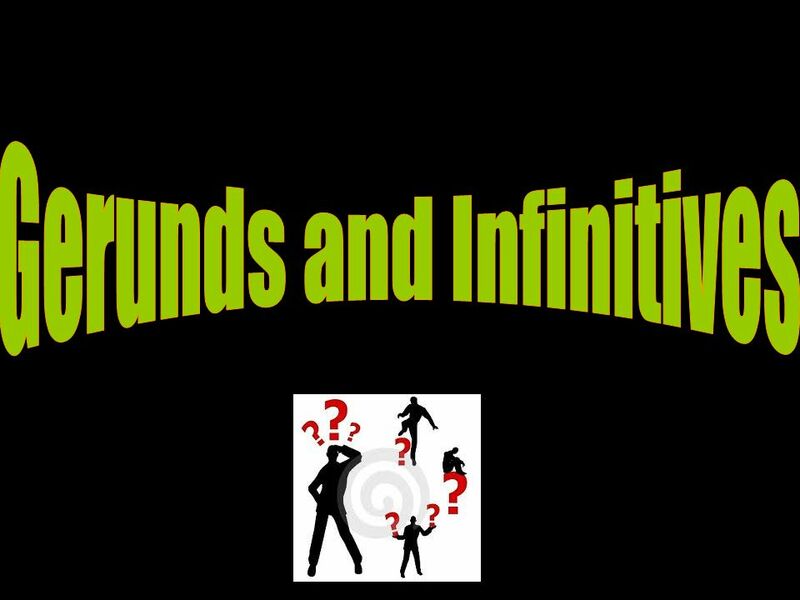 11 Practice Gerund or to + infinitive? 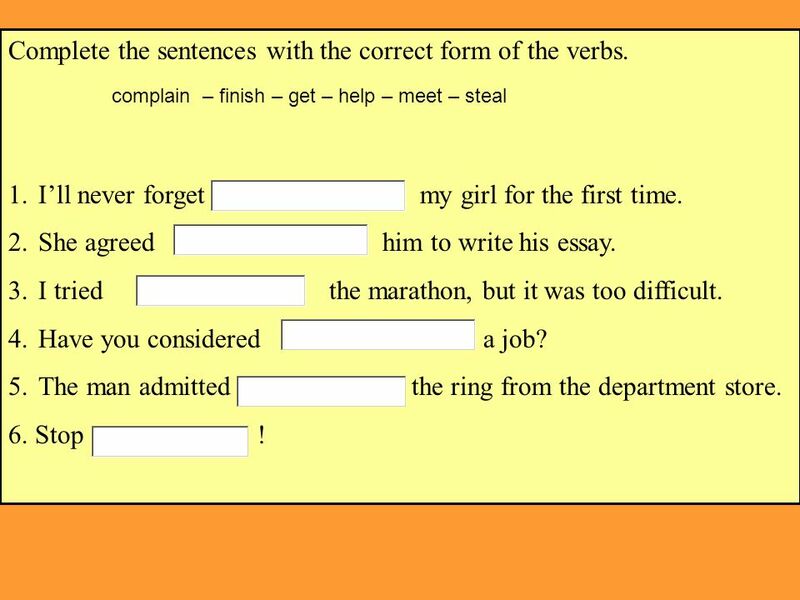 12 Complete the sentences with the correct form of the verbs. 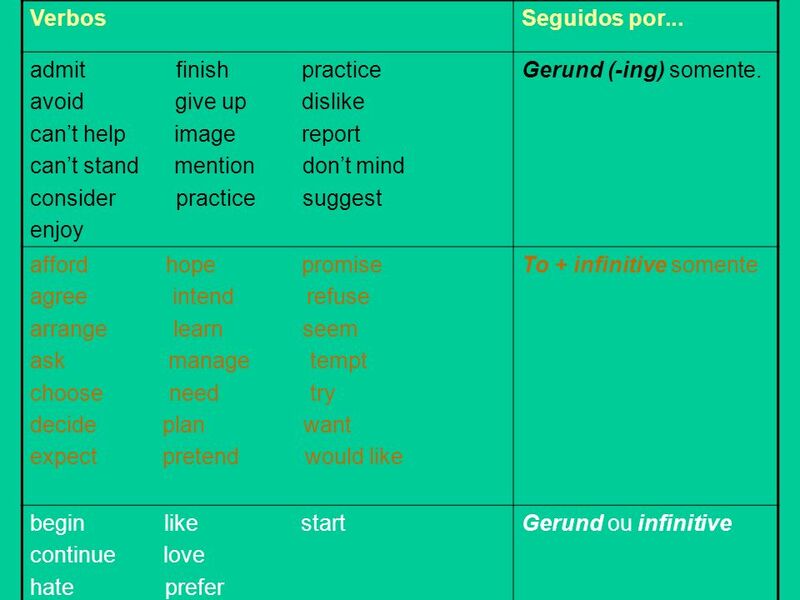 Carregar ppt "Gerunds and Infinitives"
Verb to have Present tense Negative.